No, loy al followers, I have not run out of reviewing ideas already! I simply feel I have to let everyone know about the greatness that is the Vida in Camps Bay. It may be that I work in Camps Bay and that any establishment providing me with caffeine would do. Not so! There is in fact another Vida on my way to work and many other coffee spots along the way. No, Camps Bay is special. I first knew this when arrived with a cohort of fellow female teachers. Once the baristas were aware we were teachers, the nicknames began. “Mistress” stuck until all of our names had learnt. 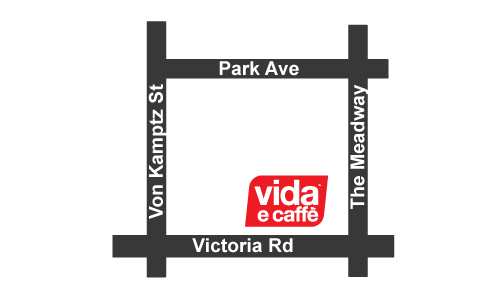 So really this post is not a review, it is just a big thank you to the amazing guys at Vida e Caffe, Camps Bay: Bothwell, Joe, Aubrey (I miss you, come back! ), Peter, Peguy and any of the others whose names I haven’t learnt yet. Thanks for making my mornings special.